Acceptable. Fine. A bed. That’s normally how I describe temporary military lodges. As a military spouse, I don’t mind bunking there because it’s cheap, but I don’t brag about the amenities to my civilian friends. I brag about the price. That’s the majority of temporary military lodging. But there is something better. It’s those cabins, townhouses and rooms with a view that are the best-kept secrets of the military. If you want super awesome military facilities, try the New Sanno in Tokyo, the Shades of Green Disney Resort, Hawaii’s Hale Koa Hotel or Edelweiss Lodge with views of the Alps. At these facilities you don’t get what you pay for. You get more than what you pay for. There is 1 small problem with these military perk places. Even though these hotels are exclusively for active duty and veterans, affordable doesn’t equal available. Often reservations need to be made a year in advance especially during the peak travel season. So instead of trying to wedge our way into the high-traffic military lodges, let’s take the road less traveled. Marines’ Memorial Club, San Francisco, Calif. Guest reviews on Yelp said “This is our second home away from home when we visit SF. The staff is very accommodating and attentive to your needs, service is top-notch, the location is perfect, the facility is excellent and makes you feel right at home.” Did I mention there is a free happy hour and free breakfast? It’s my No. 1 choice for a hotel in downtown San Francisco. Seward Resort, Seward, Alaska. Alaska is one of those places that I don’t want to be stationed at, but I would love to visit. The Seward Resort offers a way for my family to visit Alaska without the 3-year orders. The website brags “Are you looking for an exciting and affordable way to see the Last Frontier? You’ve found it! 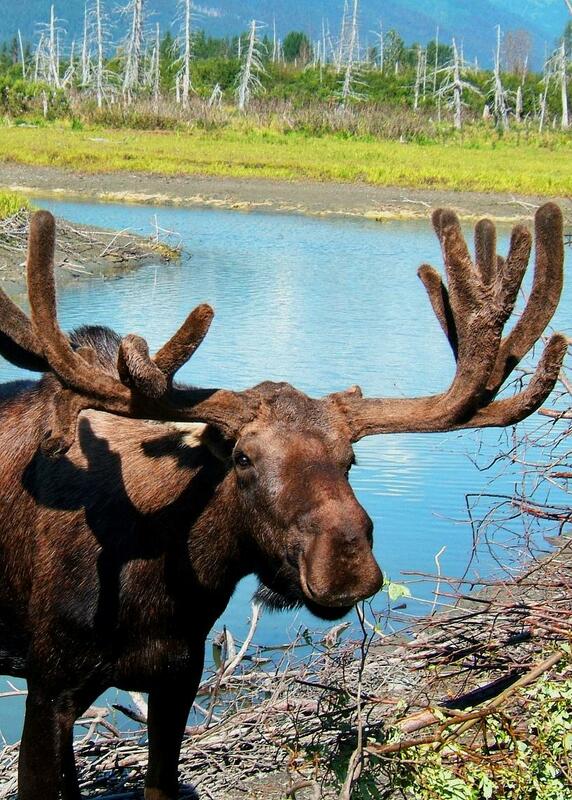 We’ve got the best of Alaska in our backyard: world-class fishing, spectacular glaciers, an abundance of wildlife, and recreational opportunities galore!” Recreational opportunities galore. You know it’s got to be good. Perks? Free cross country ski rental and wine exclusively made for the resort’s guests. Del Mar Beach Resort at Camp Pendleton, Calif. One Yelp reviewer wrote “Want a little getaway??? This is your spot. Located right on the Camp Pendleton Marine Corps Base with great prices! The winter rates are 25% off! I stayed here this past weekend and was very pleased. I stayed in the Luxury Villa where you have access to a patio with grill and a bonfire. A full complete kitchen.” I’ve stayed here before and it’s a great facility. It’s perfect for families who want to be near Legoland. Rocky Mountain Blue at Keystone Resort, Keystone, Colo. Located 1 hour from Denver, this is a must-stay military lodge for service members who loved to hit the slopes. From ice skating to Nordic skiing, snowmobiling to snowshoeing or sleigh rides, Keystone has it all. Going in the summer? No problem. The website outlines a variety of activities. Wagon rides, anyone? Fourth Cliff Family Recreation Area, Humarock, Mass. According to its website, Fourth Cliff Family Recreation Area is a 56-acre seaside resort located in Humarock (Scituate) on Massachusetts’ South Shore. Fourth Cliff is in a superb location, sitting high on a cliff at the end of a peninsula, overlooking the Atlantic Ocean on one side and the scenic North River on the other. It offers an excellent opportunity for solitude and relaxation. Yellowstone Country Trailers, Mountain Home AFB. 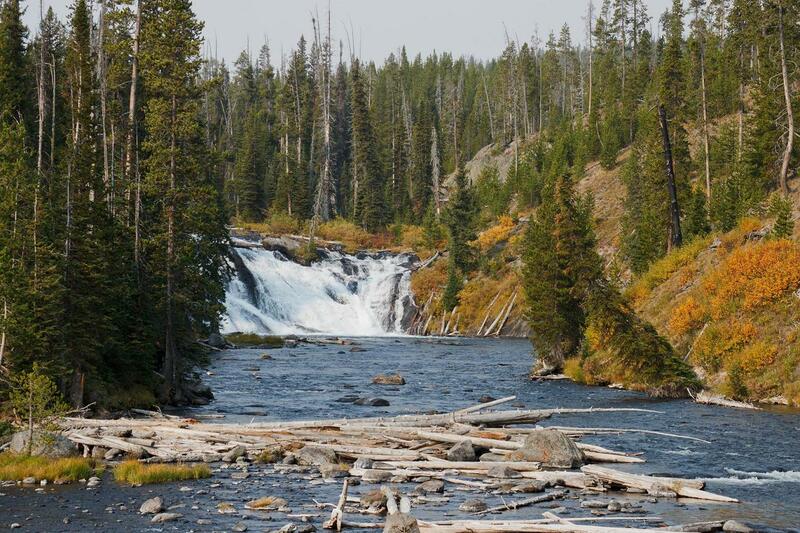 Want to stay 2 miles from the south entrance to Yellowstone National Park? The Air Force maintain 11 trailers at Flagg Ranch Campground. “These trailers are self-contained, include cooking and eating utensils, and are ready for your enjoyment,” according to its website. Pacific Beach Resort, Pacific, Wash. In the shadow of the snow-capped Olympic Mountains, Pacific Beach Resort offers a Navy-run hotel and cabins lining the bluff along with a full-service restaurant and conference center. Bikes and mopeds are available for rent at the shore. Fort Tuthill Recreation Area, Flagstaff, Ariz. If you love the outdoors, then you need to stay at the Fort Tuthill Recreation Area. The accommodations range from yurts with wrap-around decks to 2-story, 3-bedroom cabins. The backyard has a fire pit, deck and a picnic table. Lake of The Ozarks Recreation Area, Linn Creek, Missouri. Nicknamed LORA, this 360-acre facility is designed to provide a relaxing environment for military families. LORA offers cabin rentals, full and partial RV hook-ups, rustic campsites, a lakefront pavilion, a swimming beach, boat docks, a full-service marina, boat and Jet Ski rentals, boat/RV storage rental, parking, picnic areas, a launching ramp, fishing and a small convenience store. It’s open yearround. Have you stayed at any of these military facilities? What’s your favorite military lodge? When my parents were moving me into my college dorm in NYC, we stayed at the Soldiers’, Sailors, Marines’, Coast Guard, and Airmen’s Club. Think glamorized barracks living deep in the heart of NYC! My family stayed in a family room — and had to share a bathroom with another family, but that was okay. We spent most of our time exploring the city anyway! I would recommend it! Rachel, that’s good information. New York City is on my bucket list. Someday I’ll get there. We have stayed at 3 out of the 10 and loved each one of them– Del Mar, LORA, and Ft. Tuthill. Amy, I never heard of LORA until I researched this article. How it is? We have been to LORA on a couple of occasions. It is beautiful! There are beautiful A-frame log cabins & 3 bedroom cabins all the way down to primitive camping. Lake of the Ozarks can be VERY busy, but LORA is located in a quiet area of the lake. It is so nice because if you want the action, you can get to it easily, but the lake is still quiet enough you can swim and have fun! Had a wonderful stay at Marines’ Memorial club. The Marines’ Memorial Club is wonderful. Hi Michelle.. how do i go about making a reservation for the Marines Memorial Club? Hey! Monterey! Me too!! I’ll have to look into this San Francisco accommodation. Please do April. It’s a steal! I love Pacific Beach. Beautiful. I also have stayed at the Hale Koa in Hawaii, loved it. Right in the heart of Waikiki. The New Sanno in Toyko with my family was a great place to stay. It is convenient to stay at the New Sanno. We only walked a few blocks to the train station and rode it in to Disney Tokyo and Disney Sea. Don’t forget Key West with its own private beach and walking distance from Deval St! We stayed in a trailer. Was going to say the same thing. We booked a trailer at NAS Key West, cheap prices and we could walk most places without an issue or cab it to others. You must check out Coronado, CA. There is a gorgeous new lodge and a handful of cottages right on the beach! Shut the front door… Coronado has a new lodge. Must go. Totally agree! We loved NAS Coronado! The Hale Koa is the best deal in Waikiki. Directly on the beach with pools and a beach bar, it’s hard to beat. Don’t forget that there is an Exchange in the lower level, so even if you are staying somewhere else, stop by the exchange to stock up on cheap, tax free food and souvenirs. We love the Pacific Beach Resort, not only is it on the beach but they have a quaint little movie theater and an attached bowling alley and teen game room and toddler play room, a really cheesy indoor mini golf course little kids will love. It is all kind of old but just adds to the nostalgia. You not only feel like you are away from it all, but almost feels like you’re in another time too. I highly recommend you visit during razor clam digging time too! You can buy a license cheap and kids under 16 don’t need one,. Even if you have never been on a clam dig before, the people here are very friendly and will show you how. Razors clams are delicious! Camped inFourth Cliff this summer. Great location for Boston and Plymouth. The cabins looked nice too. Def a bargin and when you go into Boston, you can park at the coast gaurd station free after 2:00 pm. What about Solomons Island Navy Recreation Center ??? Looks like I need to expand this list to the 20 best places to stay at. Thanks for recommending Solomons Island for the list. There are beach cottages all over Hawai’i run by & for military. I haven’t heard anything negative about these… And, we’ve used half of them ourselves. On O’ahu: Bellows AFS on windward coast; Barbers Point (Navy, I think), and Pilila’au ARC (Army) on the leeward side. And, our family favorite is Kilauea Military Camp (Army run) on the Big Island, right inside Volcanoes National Park! Ruth, Kilauea sounds AMAZING!!! Hopefully I’ll get to visit it one day. Went there after deployment. Excellent! We went to Hale Koa many years ago when my husband was active duty. My question is, he is retired military now (26 years). Are these places for retired military too? Yes, Deb they can. Another benefit for retired military. Is there a comprehensive list of lodging for all branches available to active duty? Thanks. It’s not on the list but when we were stationed in England, we used to go to Garmish, Germany and ski at the MWR facility there. It was the General Patton hotel. Super nice. We have done Shades of Green twice and loved it. Lake of the Ozarks is beautiful and so is the Waikiki one. I will try some of the others. Thanks for the list. Thanks for sharing these recommendations. Rocky Mountain Blue – we were able to stay in a townhouse in Keystone rented only to military families in memory of the young Air Force Officer whose parents owned the townhouse. It was a wonderfully cared for home, fully stocked, with a fabulous fireplace and lots of books and games for the kids. There was even a garage for the rental car.